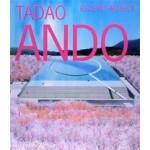 Reaching back to the turn of the millennium, this collection of recent projects and competition entries by Tadao Ando presents a consistent and unique approach by this Japanese architect. Generously illustrated throughout with both colour and black and white drawings and models, each building project is also accompanied by plans and notes by the architect explaining his particular design rationale for each project. A total of some 33 designs are documented, ranging from proposals for the Calder Museum and Ground Zero in the USA to the Abu Dhabi Maritime Museum, UAE; Damien Hirst’s Studio, Mexico, the Next Gene Church, Taiwan and the Beijing Guozijian Hotel in China. Three separate interviews with the architect that explore his personal development as an architect and design methodology are also threaded throughout the course of this edition.